Chameleon thermochromic and photochromic masterbatch from UK-based LCR Hallcrest is a temperature sensitive masterbatch which changes colour as its temperature changes or when it is exposed to UV light. It can be added to standard plastics for injection moulding and extrusion to create vivid colour changes activated by changes in temperature (thermochromic) or UV light (photochromic). It can be formulated to change with the heat from hands, mouths, or on contact with something cold, for example iced drinks or chilled foods. It is suitable for use with polypropylene, polyethylene, polystyrene, ABS and PVC, and can be dosed at between 3% to 10% according to the product thickness and the colour intensity required. The company manufactures two types of masterbatch – Chameleon EVA and Chameleon LLPE – both of which are supplied in pellet form. 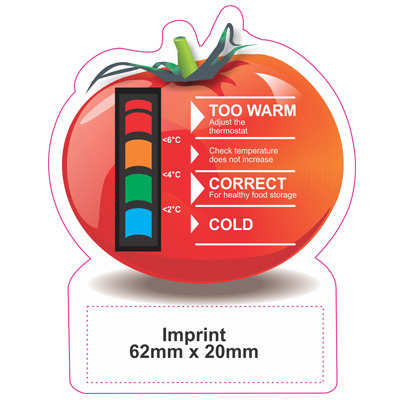 For thermochromics, activation temperatures range from 0-65°C. A wide variety of changes are available, such as green to yellow, purple to pink, red to yellow, blue to white, brown to yellow, or translucent to a colour. Within these options there are then two variants: lighter colours with rising temperature (with reversal back to the original colour as the temperature lowers below the activation point) and darker colours as the temperature is cooled (again, reversing back to the original lighter colour when the temperature is raised above activation point). Applications for the products are varied. The masterbatch is often chosen simply to make it stand out competitively. It can also add a safety feature to an existing product. An award-winning heat sensitive baby feeding spoon is one example. The colour of the spoon changes from blue to pink if the food is too hot, instantly warning the parent/carer. The spoon was used by Nestle for an expectant mother ‘bounty bag’ promotion in Belgium, Denmark and Sweden and demonstrates how a thermochromic effect can warn of excessive heat in food. Other applications have included coffee spoons, ice cream spoons, lolly sticks, drink stirrers, straws, bowls, plates, cups, beakers, bath toys, children’s toys, executive toys, frisbees, on/in pack promotions, collectible promotions, safety warning devices, packaging containers/lids, feeding bottles, baby feeding spoons, bath plugs, kettles and animal shapes.